Ride London 100 – It will be hot they said!!! 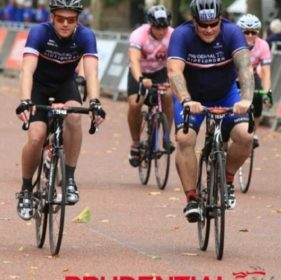 Well I took to the London streets on two wheels on Sunday to complete the Prudential Ride London 2018 to raise money for a charity very close to our hearts – Thomas’s Fund. There we all were wondering how we would cope in the heat with one of the hottest summers on record……but then Sunday came! 100 miles around Central London and the winding hills of Surrey in the wet and windy British weather at its best. I thought I would be panting like a hot dog but instead I had wrinkled numb fingers which meant I couldn’t undo the zip that had my wine gums in. It was an honour to take this challenge on in memory of Thomas and Harry, two amazing little chaps who lost their lives way to soon to a degenerative disease. 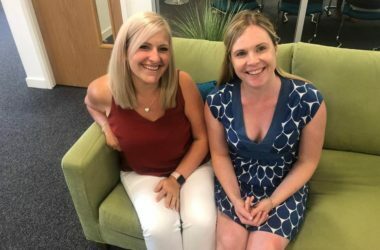 A windy total of £655 was raised which will go towards providing Music Therapy for children (0-19) with life limiting illnesses or a disability, which, due to medical reasons, means they are too ill to attend school for extended periods. Was it worth it – Absolutely! Paul Jones – Co-owner of Well Polished Bedford/Milton Keynes & Northampton.